This forum is specifically for?members to discuss the basics of Coin Tasker. All members should read the FAQ and rules before posting in the forums. Members who have obviously not read the rules, and continue to break them will be banned without warning. Follow the rules, join the discussion and be an active member of the community to earn more bitcoins! The news forum is where we will post Coin Tasker updates including new features, task walls, and bitcoin earning opportunities. Additionally, this is where members can make feature and task requests. The Bitcoin forum is for all discussions related specifically to bitcoins. If you would like to discuss the current bitcoin economy, or new development in the bitcoin community, this is the place. The task wall forum is where members can discuss features, reliability, and tips and tricks on earning bitcoins with specific task walls. This is the place to post about what you like and dislike about a specific task wall. While we do not actually control any task walls, these discussions will help other members earn more bitcoins and prevent them from making similar mistakes that have caused problems for you. The Affiliates forum is specifically for our registered affiliates. 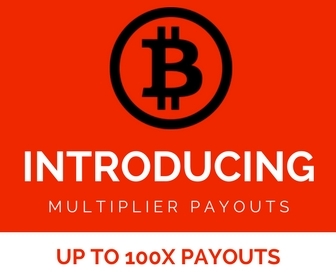 Here you will find updated referral rates, banners, and even affiliate contests to earn even more free bitcoin! If you have any questions, requests, or are even looking for custom banners, this is the place to inquire. We appreciate our affiliates and are here to help you earn the most free bitcoin from your referrals. This forum is for all topics and conversations that do not fit under any of the other created forums. If there are enough posts with a specific topic that call for a new forum, we will create it. The local forum is here for members who do not speak english to engage in conversation with those who speak the same language. Make a post in the appropriate forum and create constructive bitcoin conversations with others who speak your native language. If you do not see an appropriate forum for your language, please make a request in the feature request forum.